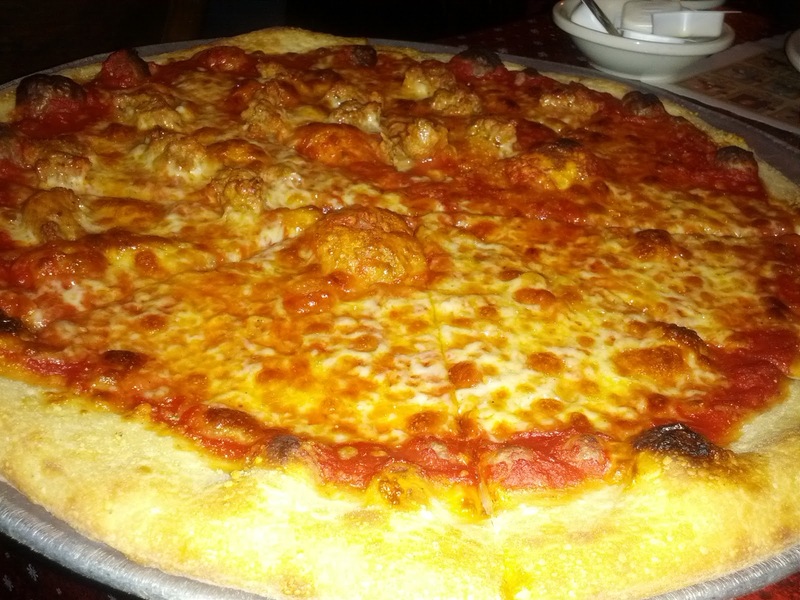 I think I've mentioned in these proceedings that a wave of boredom over New York City pizza has swept over me. 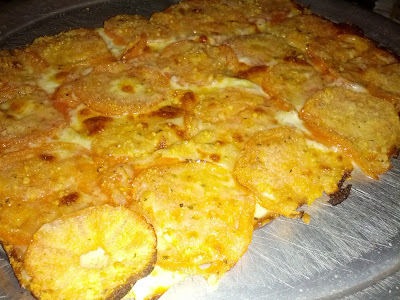 All of the neo-Naples pizzas and coal oven pizzas have lost a bit of their intrique, and I find myself gravitating towards places outside of the city: bar style pizzas and places that cater to an old-school, Italian American clientelle. 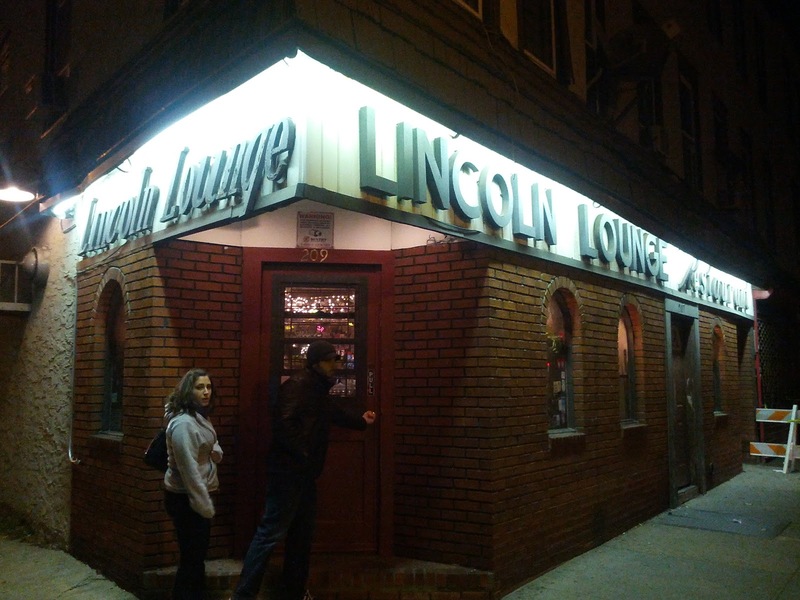 Lincoln Lounge, in Mount Vernon, New York, is certainly such a place. On a drab corner in a blue collar, industrial area, Lincoln Lounge itself is very cozy and charming inside. Everyone has a metro-area accent, and you could very well be eating in the kind of place Tony Soprano would visit. The pizza? 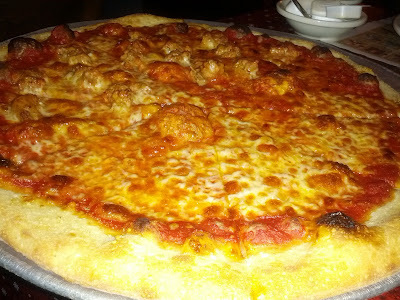 The regular pie, which we ordered half plain, half sausage, was solid, suburban pizza, with an aged mozzarella. 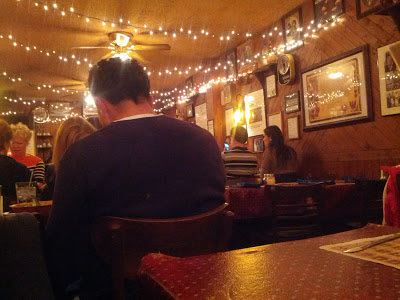 The old-fashioned, square pizza was superb. I am usually not such a big fan of white pizzas, and I also generally do not like whole slices of tomato on a pizza, but here it was a garlic cacophony of flavors, textures, and emotions. The flavors were savory and pungent, the textures crunchy and tender, the emotions supple. Not much more, can a man ask.